An international body that works to boost trade and fight corruption is subjecting Canada to a special review in the wake of the SNC-Lavalin allegations — and while the review process itself is toothless, experts warn Canada has a lot to lose if it gets a failing grade. Drago Kos, chair of the Organization for Economic Co-operation and Development's Working Group on Bribery, told CBC's Power & Politics on Wednesday that Canada will face a "phase four" OECD review — an evaluation of Canada's compliance with the OECD Anti-Bribery Convention by experts from two member countries and the secretariat of the working group. Canada will be expected to reply to the report within 24 months, offering its response to the OECD's observations and recommendations. Although the review is routine, Kos said, one aspect of it likely would examine the SNC-Lavalin affair. 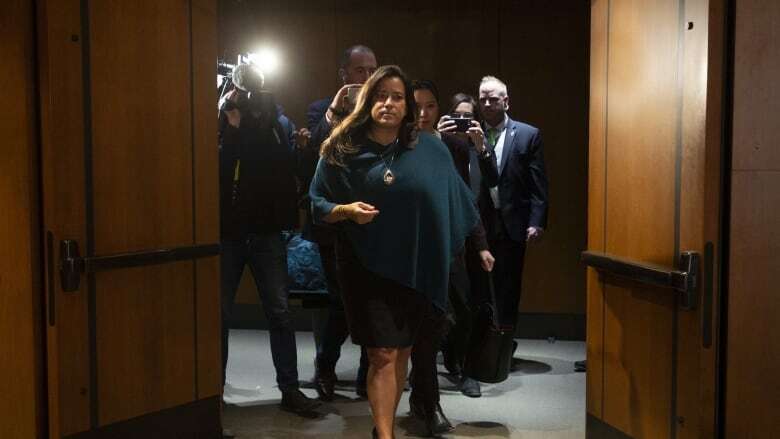 Speaking before the House of Commons justice committee on February 27, former federal attorney general Jody Wilson-Raybould alleged that she faced "consistent and sustained" pressure from senior people in the Trudeau government to interfere in the prosecution of SNC-Lavalin. The Canadian engineering company was charged in 2015 with allegedly bribing Libyan officials. Wilson-Raybould's claims touched off a major political crisis for the government of Prime Minister Justin Trudeau. For the OECD, the allegations call into question Canada's commitment to fighting corruption. On Thursday, Kos confirmed that the phase four review does not have the power to sanction any OECD member country. "Of course Canada is a sovereign entity so no one can force Canada to do anything," Kos said. But Michael Byers, a Canada Research Chair in global politics and international law at the University of British Columbia, said that a negative review could leave a black mark on Canada's otherwise sound global reputation for fair play. "If we are criticized by the OECD, it would be devastating to our reputation for engaging productively in the world's economy," Byers, a former federal NDP candidate in Vancouver said. A public rebuke by the OECD, he said said it would send a conflicting signal and create a climate of "uncertainty" for international businesses investing and operating in Canada. The mere suggestion of political interference in the criminal prosecution of a Canadian company operating globally, he said, might make Canada appear to be a "Jekyll and Hyde" nation that applies the law but doesn't always follow it. "We would be considered halfway between Germany and Russia," Byers said, adding that the hit to Canada's reputation could drive away "millions and billions" of dollars of foreign investment. Christopher Burkett, a Toronto lawyer who has worked on internal corruption investigations involving multinational firms, said any damage to Canada's reputation would be mitigated by its positive international image. "I think the financial impact is hard to assess," Burkett said. "I would say Canada, given the strength of our institutions and our democratic foundations, (is) not at risk of being seen as a banana republic." But Burkett did acknowledge a dressing-down by the OECD would undermine Canada's moral authority on the international stage. The case has generated diplomatic fallout already. China has publicly questioned whether Canada is selectively applying the law to benefit domestic firms — arresting Huawei's chief financial officer, Meng Wanzhou, on an American extradition request while pursuing a legal tool that would allow a major Canadian employer to avoid a criminal trial. "Other countries are using this issue to suggest that we don't apply the rule of law evenly," Burkett said. "And so we are, all of a sudden, placed in a scenario where our leverage, our ability and moral authority (are) undermined." Cyndee Todgham Cherniak, an international trade lawyer based in Toronto, said Canadians also should worry that an OECD review might open up a can of worms by prompting other jurisdictions to take a harder look at SNC-Lavalin or other Canadian firms. "Canada should care about the OECD review because it will bring under a microscope what Canada is doing," she said. She said that if the Liberal government allows SNC-Lavalin to avoid a criminal trial through the use of a DPA — a legal tool that allows a company to avoid a criminal trial by admitting wrongdoing and paying fines — that could convince prosecutors in other OECD countries that Canada is soft on corruption. And that could lead other large markets like the United States, the United Kingdom and Australia to consider their own criminal charges against SNC-Lavalin, she added. "If countries believe Canada is not living up to its obligations, they will see whether or not their own investigation will find a sufficient nexus so that they can prosecute under the foreign law. And that would be worse." A previous version of this story stated Canada's "phase-4" OECD review was triggered by the SNC-Lavalin prosecution. While the upcoming review will touch on this prosecution, these reviews are routine.